Bio-Blitz and Pledge to Fledge: Enjoy the Birds! Get out and enjoy some great birds along the Middle Run Birding Trail! These campers in our Young Ornithologists camp enjoy looks at a Baltimore Oriole today. Image by Derek Stoner, August 20, 2012. 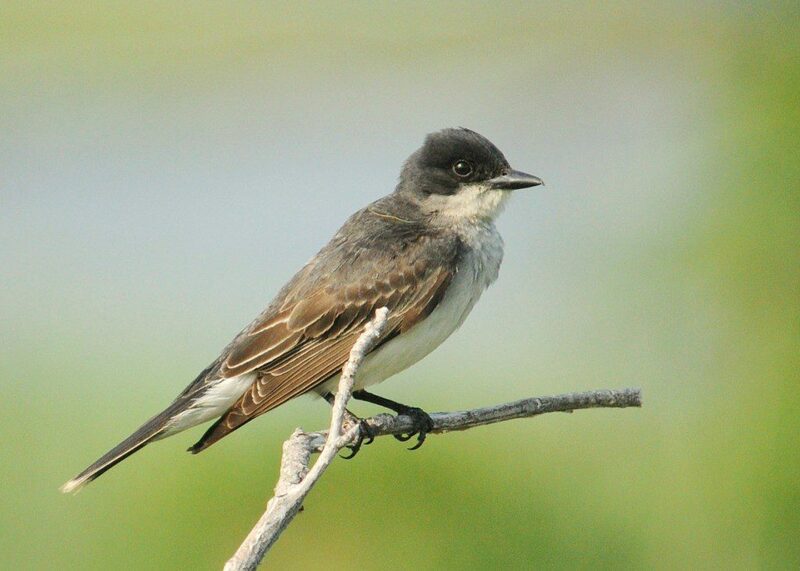 Eastern Kingbirds are flocking to the hedgerows at Middle Run right now, as they gorge on the fruits of cherry, sassafras, and sumac trees. Image by Derek Stoner. With bird migration in full swing, venture out this Sunday to Middle Run Natural Area and help us celebrate the joys of watching birds. Colorful birds like Baltimore Orioles, Indigo Buntings, and Scarlet Tanagers are just a few of the sights you may see. The Pledge to Fledge component of this event is a global effort to increase appreciation of birds and their habitats. 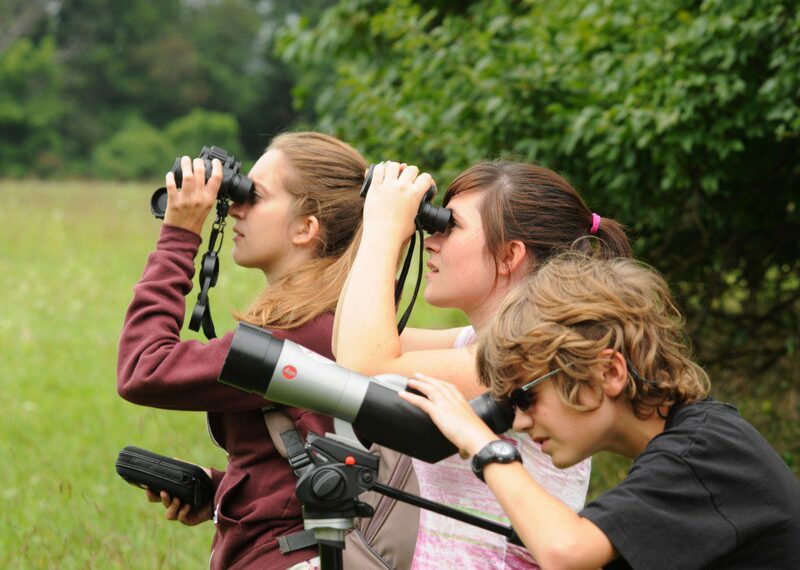 The mission is simple: introduce more people to the enjoyment of watching birds! Your assignment: bring along a friend, relative, neighbor, or anyone else you know that will enjoy a fun nature walk full of interesting birds. They will thank you! We will hold two bird walks: one beginning at 7:00am until 9:00am and another going from 9:30am to 11:00am. A butterfly and dragonfly walk will also be held from 10am until Noon. Expert leaders will guide the walks, and binoculars and spotting scopes will be available for use. Come on out and enjoy a morning with the birds– and bring a friend!